Whether its shoes, leather goods, coffee or healthy snacks, serial entrepreneur, Bethlehem Tilahun Alemu, has the Midas touch when it comes to transforming quintessential Ethiopian products into global brands. All her endeavours are built on a foundation of social development, because she believes there is huge potential on the continent for poverty alleviation through creating prosperity rather than relying on charity, which she says makes people in the community complacent and dependant. Born and raised in the Zenabwork /Total area of Addis Ababa, one of the most impoverished and marginalised communities of Ethiopia, Bethlehem was aware from early on that there were many people around her with talent and skills, but no jobs. So, with a little capital investment from her husband and some of her family, Bethlehem created a space in 2004 where local artisans could find a way out of poverty by styling innovative footwear based on the traditional seleate/barabasso tyre-soled shoe. The uppers are a colourful selection of organic cottons, free-range leather, jute or Abyssinian hemp, which is also produced locally. Her brand,soleRebels, is the only shoe line which carries the Fair Trade mark, and it’s distributed through outlets in Europe, the United States and the Far East, as well as online. Moving on from shoes, Bethlehem launched Republic of Leather, an online platform that lets customers create bespoke leather products and select the craftsperson they want to make it. At the same time, the buyer can designate an organisation or cause to which 5% of the purchase price is donated. “The vision was to re-imagine the luxury leather goods market by powering the creativity of our customers, creating jobs for craftspeople in Ethiopia, and energising the causes our customers are passionate about,” she explains. There is nothing more synonymous with Ethiopia than coffee, and that’s where Bethlehem set her sights next, using the same personalised touch concept driving her leather business. She sees Garden of Coffee as the beverage’s Fourth Wave. “Using indigenous artisan coffee crafting techniques that have been passed down from generation to generation, our customers are ensuring that this legacy of coffee craftsmanship lives on and flourishes, while also providing a platform for high-quality job creation, essential for an emerging nation like Ethiopia. 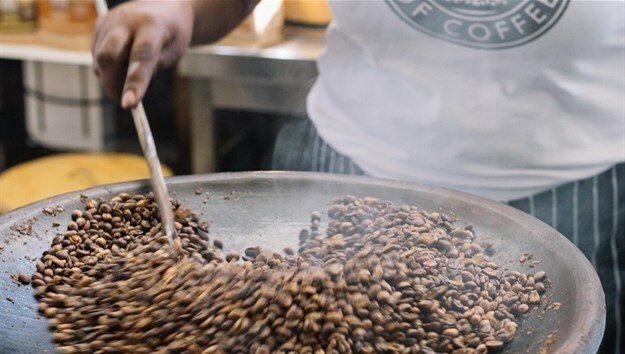 “Our customers not only get to select their beans of choice and their type of roast, they select who roasts these beans and the type of roast they want. In doing so our customers have the opportunity to develop direct relationships with these incredible coffee roasting artists,” Bethlehem says. And her achievements haven’t gone unrecognised. She has been named one of The Guardians Africa's Top Women Achievers and CNN's 12 Female Entrepreneurs Who Changed the Way We Do Business, among other accolades. In May 2018, Richard Branson invited her to join The B Team, a not-for-profit initiative formed by a global group of business leaders to catalyse a better way of doing business, for the wellbeing of people and the planet.